Smooth, silken, tame the frizzies naturally! Everyone – especially perfect for people with dry scalp, thick unruly, frizzy hair, or just want hair to be smoothed and tames- users tell us that their colour ( chemical or natural) is enriched and enhanced, and that they wash their hair far less. Rhassoul clay (widely known in the Arab world as Ghassoul clay) a very special clay from beneath the Atlas mountains in Morocco in Northern Africa, that “soaps” slightly, and washes like soap-formed under the Atlas mountains in Morocco in Northern Africa.has been used use in beauty care for 1500 to deep cleanse, condition and moisturize the hair and skin. 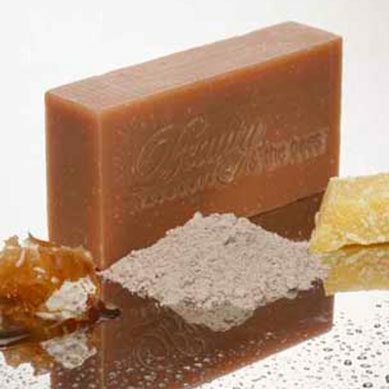 Smooth and silky – is extraordinarily rich in trace minerals-and leaves the hair and scalp smoothed, moisturized, silked and soft- bar has a rich orangey spicy scent from orange and coriander oil. Coconut oil; Mount Wellington spring water (soap nut infused); olive pomace oil; castor oil; sunflower oil; Leatherwood beeswax; soy wax; Rhassoul mud; French red clay; Tasmanian seaweed extract; essential oils (Orange, Vertiver, Ylang ylang & Tagets); Sodium borate (Borax) <1%; Leatherwood honey. 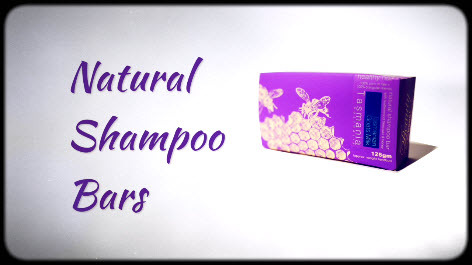 I am so happy to find a natural shampoo that fights the frizz! My hair and I thank you. It is so easy to use, it lathers up so generously and doesn’t tangle my hair. 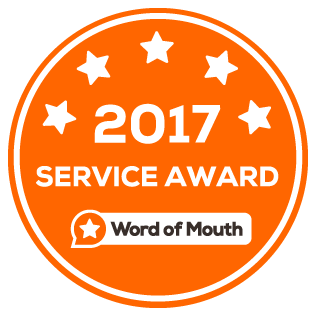 Thank you so much for the review – we are so happy you have found a natural alternative in our Moroccan Mud Shampoo Bar! Love it. All the shampoo bar samples I tried were great, but this one is the best for my hair! My hair is shiny, strong and very manageable – frizziness is pretty much gone, which is a miracle I’ve been searching for for years. I only wish I’d discovered it sooner! 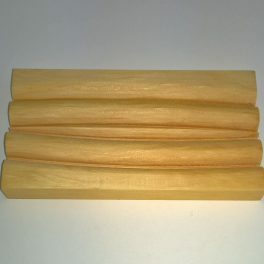 It lasts really well also – I’ve found that cutting it into smaller pieces and making sure it dries properly (on a soap saver) between uses makes it last even longer. Thank you for taking the time to write , we appreciate it. This fabulous shampoo bar smells heavenly and leaves my tangled, curly hair smooth and manageable. Thank you! Hi Dan, We are glad it works well for you. Thank you for taking the time to write, we appreciate it. I started using the Moroccan Mud Shampoo for the first time from February. I shampoo every two days and this one bar has lasted 14 weeks. My hair feels so clean, soft and silky – I love it. 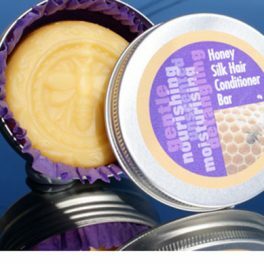 (I did buy the Honey Silk Conditioner Bar as well but find that I just don’t need to use it at all. Tends to make my hair feel a bit coated with something). Am now not using any conditioning treatment at all. Love the plastic free packaging and natural ingredients of this shampoo bar. I will not be going back to any plastic bottle, toxic chemical, falsely marketed pseudoscientific shampoos or conditioners. 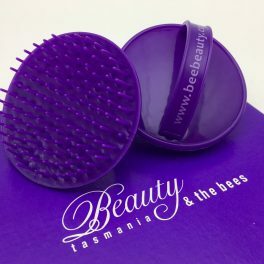 Thanks Beauty and the Bees for a great product. Glad I bought two more of this shampoo bar plus some others to try. Going to start my husband on the Hemp bar. Hi Tracy, Thank you for your kind words, we are glad you are enjoying the products. If you find you would like to use the conditioner remember its a chemical free product, rubbing some on your hands then into your hair is usually enough, if it doesn’t rinse out enough for you perhaps try a tablespoon of Vinegar to a litre of water, tip some of this over your hair and rinse. I hope your husband enjoys the products too. I can’t believe it. In a one shampoo this miraculous, beautiful bar has turned my dry, lifeless hair into a shiny, silky mane. I am truly gobsmacked … and in love. My search for the perfect, cruelty-free shampoo is finally over. Thank you, Beauty and the Bees. 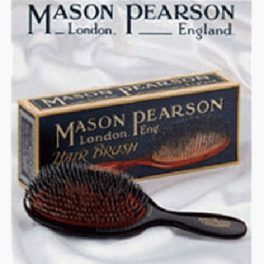 Excellent product for very dry/curly hair. 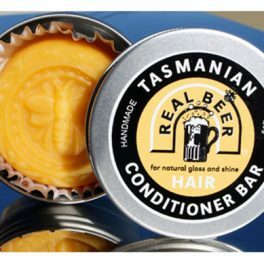 After the 1st time using this shampoo, in conjunction with the Beer Conditioner, my dry, frizzy hair was so smooth, so shiny, so glossy and so soft I was honestly stunned! Following with the vinegar rinse is also wonderful. I have already recommended these products to so many people. Congratulations on creating such a fantastic product! No tradition period for me. Now with only having done one wash my hair is soft, easy to work with and shiny thanks to the morrocan mud shampoo bar with an apple cider rinse too of course. 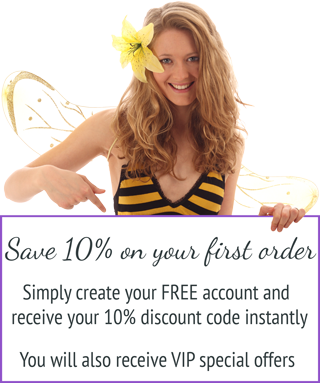 Can’t wait to try lots of other products from beauty and the bees!! This shampoo is completely amazing! I have thick unruly (loose curling) hair that refuses to do what I want. I have used many store and salon products before and they all dry my hair out and put this unnatural coating on it. My hair then gets frizzy and wiry. Panthenol found in most shampoo products will kill your hair! And then all the added garbage will kill what survives. After only a couple days of using this Moroccan Mud Shampoo it is crystal clear that I will never buy that store/salon trash again. My hair feels thick, smooth (even without conditioner), and alive. I don’t have to shampoo every day my hair doesn’t get greasy and still feels clean and it smells wonderful. This is the best hair product I have ever used! I love your shampoo bars, excellent products and chemical free too. Thank you for amazing products. I LOVE the Beauty and the Bees skin care range so I thought I would try thier hair care range as well. 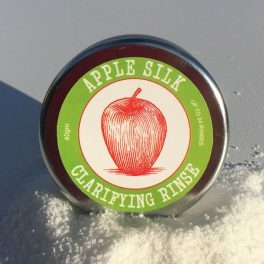 Having naturally fine, wavy/curly hair that is very dry, damaged and frizzy due to being chemically treated I was quite skeptical that these products would work, normally I would have to shampoo my hair, drown it in conditioner then apply an anti frizz serum, now all I use is the Moroccan Mud Shampoo Bar and Apple Cider rinse and my curls feel light, are defined and almost frizz free, I can’t believe it! Thanks Beauty and the Bees! My favourite shampoo bar so far! I have dark, fine hair and my hair used to always frizz up after using bottled shampoos, but with these bars I don’t get the fluffy fly-aways and I don’t feel the need to wash my hair everyday as long-term use has helped regulate how greasy my hair gets. The moroccan mud has been the best suited to my head so far and doesn’t make my hair too heavy with product build-up and it works really well with my natural oils making my hair darker and thicker. It’s so liberating using chemical free natural products on your head that clearly work! This shampoo bar is absolutely amazing! As soon as you start using it on your scalp you can feel how soothing it is. I really could not believe how wonderful it made my scalp feel, after suffering from contact dermatitis even when using other ‘green’ shampoos. I had forgotten what a normal scalp feels like! Well done Beauty and the Bees, I’ll also be buying one for my mum this Christmas. I have waited until I have completely used my Moroccan Mud Shampoo Bar so that I could submit an accurate review. It lasted me 7 weeks with almost every day use. My hair is wavy/curly, very dry and frizzy. Always has been. I generally spend $15 + a week on shampoos, conditioners and umpteen other products trying to make it appear healthy and managable to no avail. For the last 7 weeks I have used nothing but this shampoo bar, and then rinsed with apple cider vinegar diluted with water. The difference between my hair before and now is extremely pleasing. My hair is clearly healthier. I get hardly any frizz. And it is smooth and shiny. Something it has never been before. Other people have even commented. I can’t believe I have thrown money away for this exact result for years. 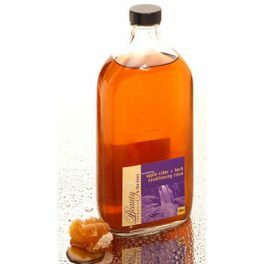 When for less than $15 over 7 weeks (this soap and el cheapo apple cider vinegar) I can have hair like this. Very, VERY happy with this product! No hesitation in recommending it to anyone. Iv been using the Moroccan Mud Shampoo Bar for 4 weeks now, I use to suffer from a dry itchy scalp and split ends but since trying this shampoo my hair is healthier than its ever been, and i no longer have a dry scalp. I love how this range of shampoo’s are chemical-free and are a solid shampoo bars, it cleans my hair thoroughly and gently and it doesn’t strip your hair of its natural oils.